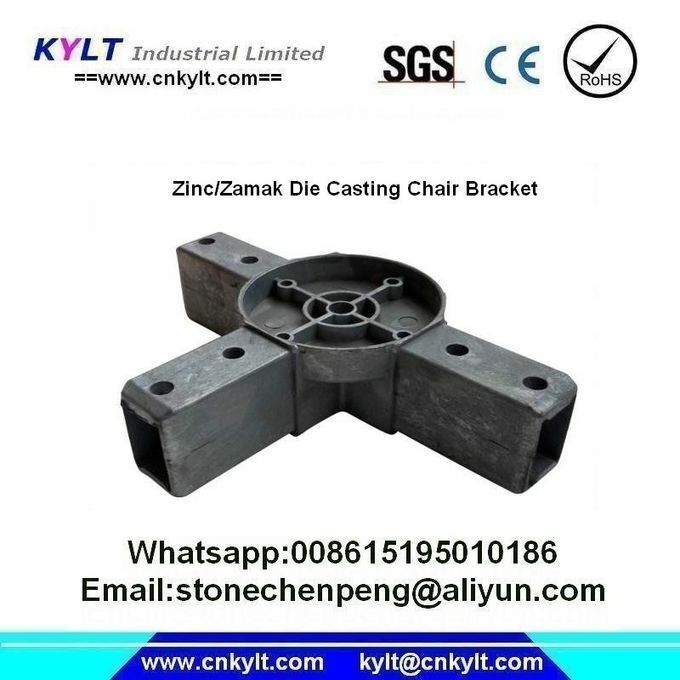 KYLT Zamak/Zinc Alloy Die casting/Injection Chair Arms, foot, support parts by 200T, 280T,300T cold chamber die casting machine. 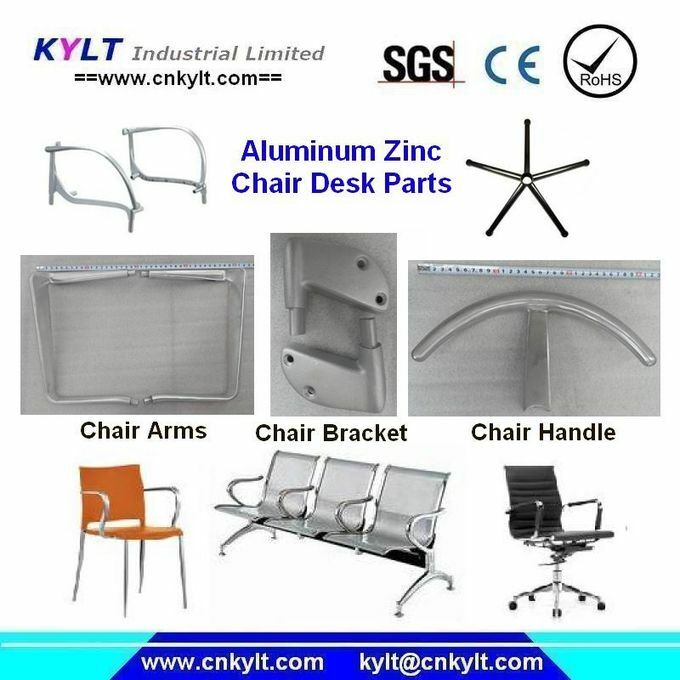 Can produce all kinds of Zinc(Zn, zamak), Aluminum(Alu.) 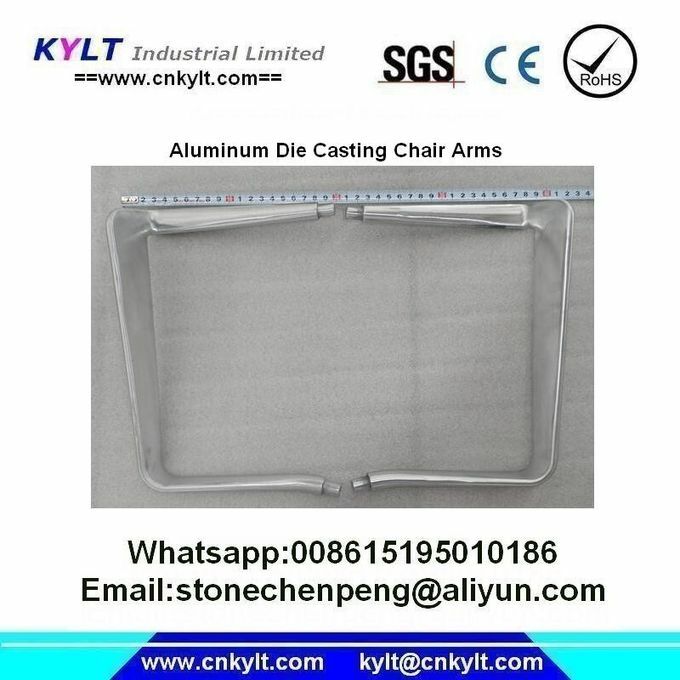 alloy parts as per cliends drawings or samples.